We would like to thank all the participants of the second Leibniz MMS Days for making this workshop a successful and productive event. 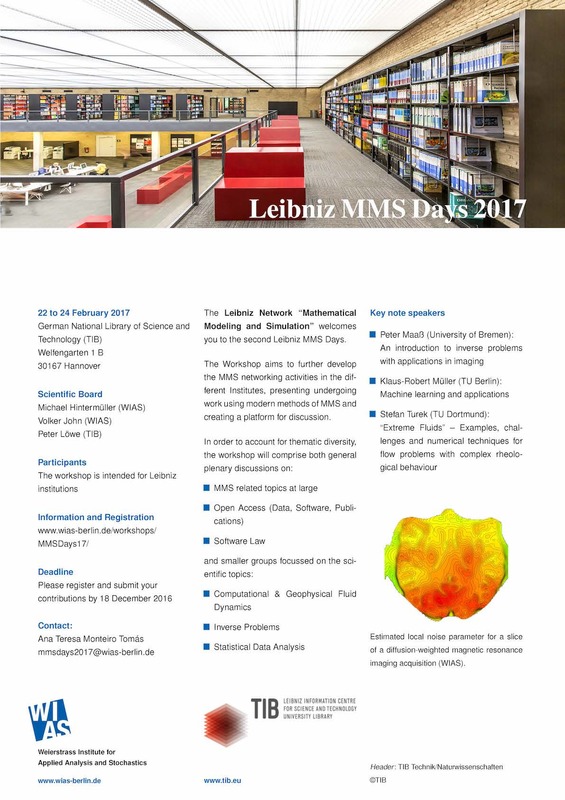 We look forward to seeing you next year, for the third Leibniz MMS Days Workshop. You can find the presented talks here and also at the TIB AV-Portal. Some impressions of the workshop can be seen here. Lectures are scheduled from Wednesday midday until Friday afternoon. A poster session will be held on Wednesday evening.